I just finished my first round of TurboFire a few months ago, and got some incredible results I wanted to share with you with this TurboFire Review (or Turbo Fire Review depending on how you say it). TurboFire combines motivating heart-pumping music, kickboxing, and Chalene Johnson to create the ultimate exercise program. If you are looking for the Turbo Fire Schedule, we have it as well. 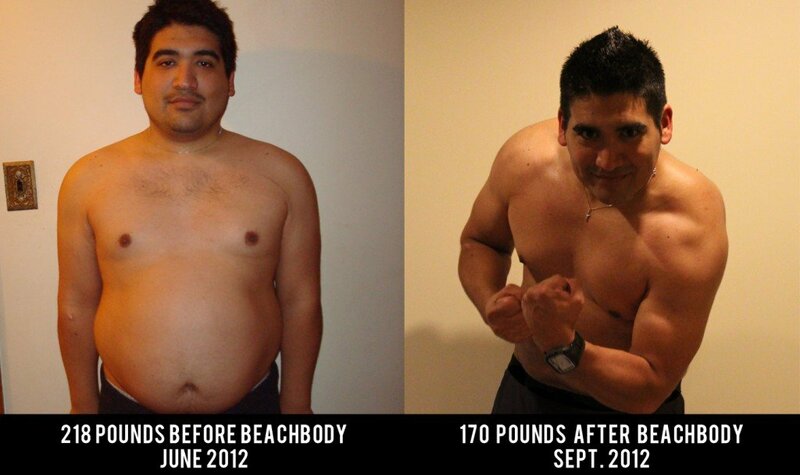 When I started the program I was 220 pounds, and had blood pressure of 190 over 120. 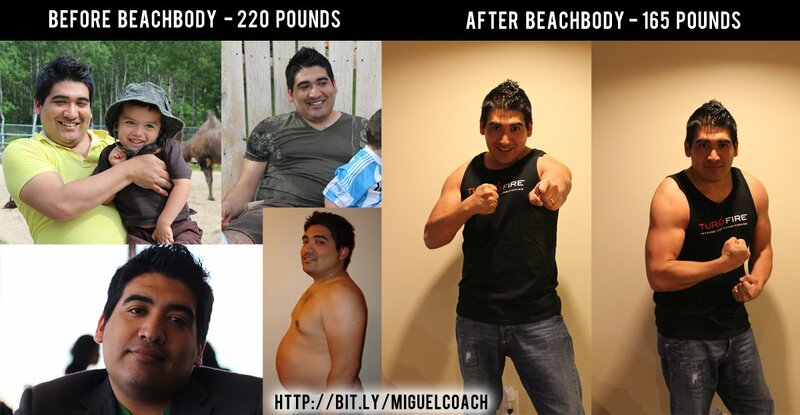 When i completed the 90 day program, I was able to drop 45 pounds, and brought my blood pressure down to 120 over 80. Let me become your coach today for free, and I will help you get amazing results if you are really looking to make this happen! I love helping people get great results with TurboFire so feel free to add me on Facebook (don't be shy)! I've helped hundreds of people lose inches, weight, and get in incredible shape using TurboFire, so if you want help from an expert Beachbody Coach, I'm your man! I can explain to you my detailed program, and how I have helped hundreds of people lose weight (and keep it off) in less than 90 days. If you are looking for the best possible price for TurboFire, you can get TurboFire with all the bonus DVD's for $79.90, or you can get TurboFire Ultimate Challenge Pack for $160 that includes Shakeology, resistance bands, and everything you will see below in my TurboFire review. There are a couple of key secrets that make TurboFire the ultimate way to lose weight fast. In fact, with TurboFire, I lost weight about twice as fast as anyone else I know that has done similar programs, and I did it all by working out from home in the warmth of my house. I should also mention I did take Shakeology on a daily basis, and I strongly believe this was one of the main reasons I was able to lower my blood pressure so dramatically in a short period of time. Let me go through what is all included in TurboFire, so you can understand how it works, and why if you want to lose weight, this is the number one program you should be buying right now. TurboFire is the fastest way to lose weight and get toned up, all while working out to the most incredibly fun and fast paced workout on the planet. The Turbofire 90-day intense cardio conditioning program brings fitness innovator Chalene Johnson right into your living room to transform your life. A big thing I want to mention in this TurboFire review is: The secret to TurboFire is High Intensity Interval Training Fire Drills. During a Fire Drill, you will workout as hard as you can for 1 minute, and then take a quick rest to ignite your metabolism and get you burning calories 9x faster than regular cardio. Additionally, you get a great set of resistance bands, and thigh firming bands you can use during your toning and sculpting exercises. Now if you really want to get started with a bang, you can even follow the included 5 Day Inferno Plan. This plan will get you rocking, and allow you to lose 10 pounds in 5 days. Trust me, it works, and it wasn't even that hard to pull-off. You can see the complete TurboFire system below. This entire package will ship to your house in an exclusive Beachbody Challenge Pack set, and will have you rocking and in the best shape of your life in no time. I'm looking forward to helping you achieve ultimate success! One of the great things about TurboFire is how fast you can get started. 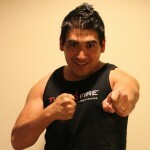 TurboFire has their Fire Starter workout available streaming online! So as soon as you buy TurboFire, you actually get the ability to stream the workouts to your computer so you can learn the moves you will be using during your TurboFire workouts. 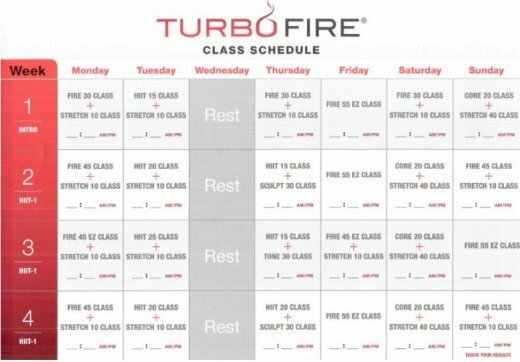 Chalene Johnson has also taken the time to create a TurboFire Quick Start Guide, as well as a complete class schedule that you can use to get started right away. I was able to use the TurboFire Quick Start Guide to get started with my workouts right away. I also took time to read the Fuel The Fire Nutrition Guide, and headed to the store to buy the ingredients to make some of the food I'd be eating for my 90 day challenge period. What TurboFire review would be complete without talking about the workouts. 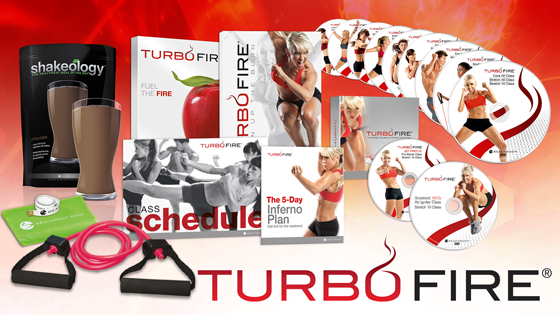 What makes TurboFire so amazing is honestly the music and the instructor, Chalene Johnson. The music that is used with TurboFire is amazing. Incredibly moving, fast paced, and timed perfectly with every workout. The secret to TurboFire is the High Intensity Interval Training that gets your metabolic rate blasted through the roof! This creates an After Burn effect that will have your body burn calories faster all day long. What does this mean? Well if you do a 20 minute HIIT TurboFire workout, you will not only burn calories during the workout, but all day long for up to 24 hours. So with a 20 minute workout, you could easily burn 800 calories! This is how I was able to get the results you see below, going from 220 pounds, 38 inch waist, to 165 pounds and 30 inch waist in 90 days. How Can I Get TurboFire? Did you enjoy this TurboFire Review? Want to get a copy of TurboFire? There are a few ways to get it. The TurboFire Challenge Pack Includes: All the famous workouts include: Fire Starter, Low HIIT 20/25, Fire 30/40/45/55, HIIT 15/20/25, and Stretch 10 (12 Workouts), TurboFire Class Schedule, Quickstart Guide, Fuel the Fire Nutrition Guide, Abs 10 DVD, Instant Streaming of Fire Starter Class, Bonus DVD's: Ab Igniter, Greatest HIITs, and Shakeology! For only $20 more than the TurboFire Complete System, you get Shakeology (Normally $120 just for Shakeology). The TurboFire Base Kit is like the Challenge Pack, BUT it doesn’t include Shakeology or the Bonus DVD's. If you are tight on a budget, you can purchase this one, but after doing TurboFire and losing 45 pounds in 90 days, I have to be honest and say that Shakeology will increase your results by a massive factor. Also you will be missing the Bonus DVD's. TurboFire Advanced is an add on to the TurboFire main workouts. It was created to take your fitness to the next level with 5 new Turbo Fire workouts programs. They include: HIIT 30, Fire 60, Sculpt 30, Tone 30, Core 20. Turbo Fire Complete System is the ultimate workout. It includes the TurboFire Base Kit, the TurboFire Advanced Classes, Toning Bands, Thigh Firming Bands, and the two bonus DVD's: Ab Igniter, Greatest HIITs. Well there you have it folks, TurboFire! I thought I would end the review with a video of me doing one of my favorite workouts, the TurboFire HIIT 15. I didn't want to bore you with the entire 15 minute workout so I only uploaded the last minute of a HIIT 15 workout for you to watch. Basically the way the HIIT 15 workout goes is you do three different drills, each drill you do three times, and you rest for 45 seconds in between each drill. Trust me, when I started I could barely do 1 minute, but after 90 days, I can do these all day long and burn calories faster than anything else I could be doing.